HMAC stands for "Hash-Based Message Authentication Code"
How to abbreviate "Hash-Based Message Authentication Code"? What is the meaning of HMAC abbreviation? 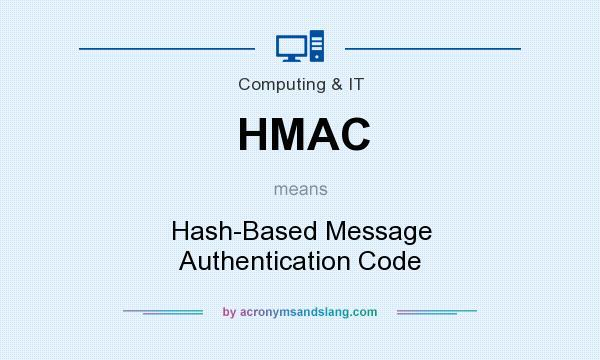 The meaning of HMAC abbreviation is "Hash-Based Message Authentication Code"
HMAC as abbreviation means "Hash-Based Message Authentication Code"